We met Janelle Paule through her work as an administrator at Gold Line Church. She keeps things running smoothly at their ministry in Highland Park, a gentrifying community in Los Angeles, California. Gold Line shares our commitment to creating compassionate community among diverse people and groups. 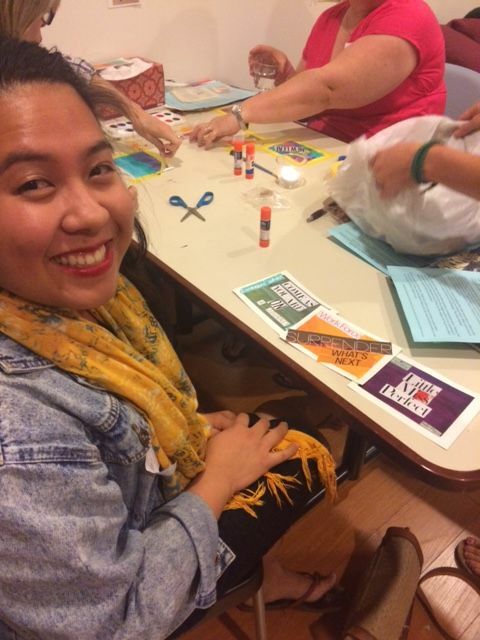 We were delighted to have her join us for our “Create: Listening to Your Life through Art Making” workshop in October. Thanks to Jannelle for letting us share what she wrote about her experience. I have been praying for spaces of reflection on my current season of life. I graduated from Biola University in May 2016 and moved to Los Angeles less than 24 hours later. Since then, I dove headfirst into ministry opportunities in whatever form they came. These last few months have been incredibly transformative, but I have also had to be extra intentional about creating space for self-care and compassion. I can be really hard on myself sometimes – a habit I’m trying to change. 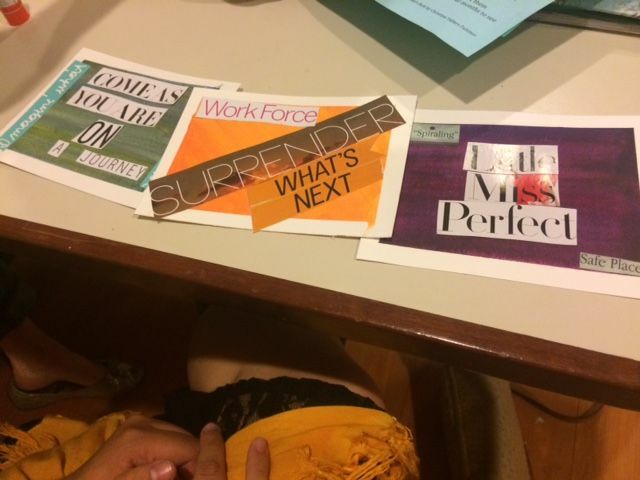 The ”Create: Listening to Your Life through Art Making” event was a true answer to prayer. While I did not know what to expect, I came away feeling affirmed in my calling and in the ways God is guiding me. I am beyond grateful for the Compassionate Community Scholarship for the gift of being able to participate! Sign up for our newsletter to keep updated on upcoming events. The next event is our Winter Solstice Yoga Workshop on Wednesday, December 21st in Glendale. Hope to see you there!